Für Mona's Blog Candy hab ich folgende Karte gebastelt. Sie hatte eine Karte als Sketch vorgegeben. 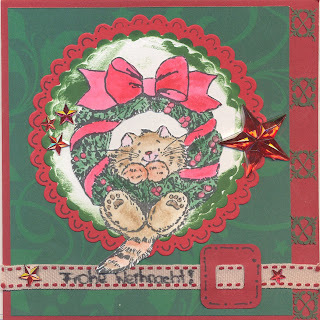 I worked out this X-Mas Card vor Mona's Blog Candy. For participating you see a sketch and you have to work it out yourself.